Not late December back in ’63 like The Four Seasons sang, but last night in New York City at the Milennium Broadway where the Legends for Youth Dinner was held. It is a project of the Major League Baseball Players Alumni Association. It was extra special for me for a few reasons. I was the second president of the MLBPAA. They’ve had just three. 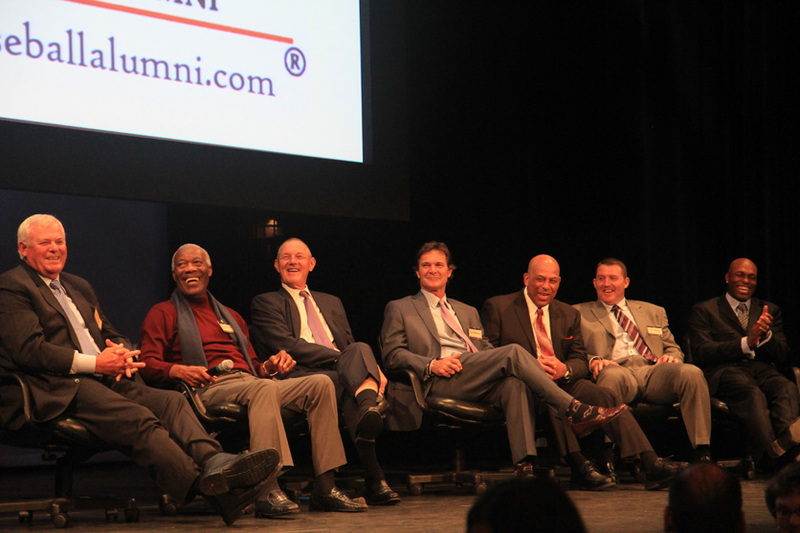 The first was Jim Hannan, a former Major League pitcher and one of the 17 founders of the Alumni Association. The current one is Hall of Famer Brooks Robinson. Because of my efforts back in the formative years of the Association, the MLBPAA presented me with a Lifetime Achievement Award. I was probably more qualified for the “Start Me Up” award. I got involved in the late 1980s between jobs as a TV announcer. The main thing I did was recognize that of the handful of employees we had at that time, Dan Foster seemed to me to be the one who really had the welfare of the Association in his heart. He had a passion for it and I trusted him. I recommended to the board that we retain Dan and eliminate the rest. We were a bare-bones operation at that point. I was paid expenses only and Dan would become the only paid employee. We had a couple hundred dues-paying members at that time. Fast-forward to today… Dan has done a fantastic job leading the organization. There are now over 6,000 members. Former players and baseball employees from many different departments have joined, as well as current players — and there is also a membership category for fans. That’s what made last night rewarding for me. The award was nice, but the real joy was to see the cross-section of those who attended. Former players highlighted by all-time Yankee favorite Don Mattingly and a pair of Hall of Famers (Brooks Robinson and Orlando Cepeda). 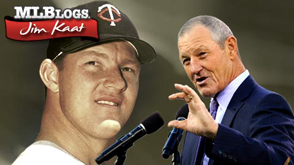 Brooks presented the community service award named for him to Jim Thome. Executive Sandy Alderson attended. Current players who were nominated for the Alumni Heart and Hustle Award: Michael Cuddyer of the Twins, Neal Walker of the Pirates, Ian Desmond of the Nationals, and the winner: Torii Hunter of the Angels. I mixed and mingled with former teammates Jim Lonborg, Larry Christenson, and Bob Boone. The Players Association was represented by former player Steve Rogers, and people from MLB.TV, MLB.com, and the league office were there. B.A.T., or Baseball Assistance Team — the organization that helps former players who have special needs — was represented. This is why that was so rewarding to me. In our early days, we were not totally accepted by some of the other baseball organizations. Now, we are all on the same page, tugging the rope in the same direction. As it should be. Our mission is to involve former players in various activities to promote the game of baseball and support charitable causes. It is being done worldwide with clinics, golf events, and autograph sessions. One example was when colorful auctioneer Jon Warden, a member of the 1968 World Champion Detroit Tigers, asked us to raise our bidding paddles if we would be willing to give $50 to provide a baseball clinic for a day for kids who could not afford to do that . One bidder pledged to sponsor 50 kids! That’s $2,500. Several sponsored 10, and many sponsored smaller numbers. As Jon said, “Once a Major Leaguer, always a Major Leaguer” — whether you were there for a day, a year or a decade. Another reason the night was special. No member carries more importance than another, whether he is a Hall of Famer or a player who played for just a short time. Special for me was the person who presented my award. My friend and broadcast partner on MLB Network, Bob Costas, did that as well as help emcee the event along with another friend/announcer, Gary Thorne. Well, I think you get the picture. It was a great night for baseball. I’m very fortunate to have been a part of it. Congratulations on the well-deserved recognition, Jim. Now, your many fans in the Midwest are hoping the Hall of Fame finally calls, because that is an honor you have certainly earned. I don’t understand why you’re not in the H o F. Dave Schank, Durango. CO.